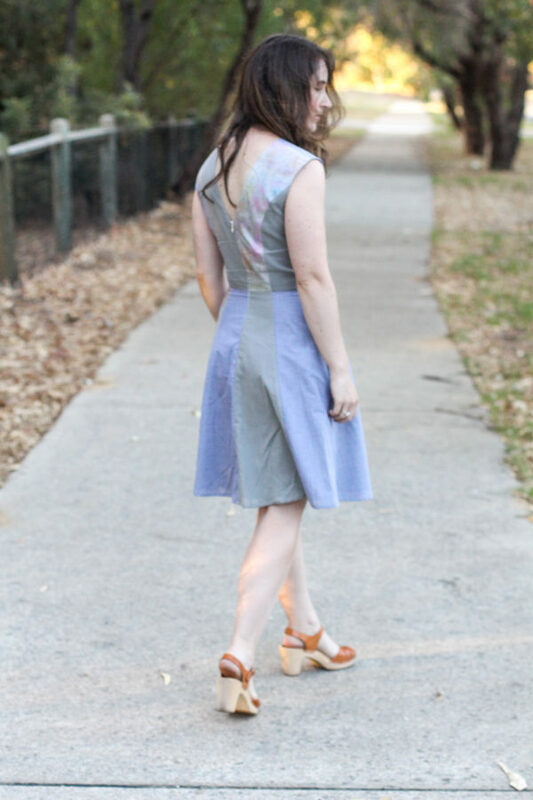 I am so excited to finally share with you my sleeveless scrap Karri dress!! This project has been in various stages of completion since before Christmas, and it was making me crazy that i wasn’t finished yet. My original plan was for this to be my Christmas dress, you know the nice dress you wear to go to Christmas things. Yeah, that didn’t happen. I can’t lie to you, I honestly don’t enjoy taking my time on a sewing project, i like to get it done (preferably 2 minutes ago) and then wear it. Sewing a little bit here and a little bit there over a period of weeks is not my thing, and I found it really frustrating. But at the end of the day, that’s just how it worked out with with my free time over the last two months, so such is life! Side note: please ignore the wrinkles in these images (they are literally all i can look at, grrrr) but despite all the ironing I did beforehand, sitting in a car on the way to take photos was enough to wrinkle the whole thing up again. Honestly, wrinkles make me so mad. I think i spend a lot of our lookbook photoshoots for new patterns stressing about whether there are any wrinkles anywhere hehe. I blame my dad AKA the obsessive ironer, for turning me into an obsessive ironer. Ps. I love you dad. I also spent wayyyy too much time fussing about whether i should leave the sleeves off or not. I’m really happy that i did leave them off for this version – it’s quite a busy dress and i think adding sleeves could have tipped it over the edge a bit. 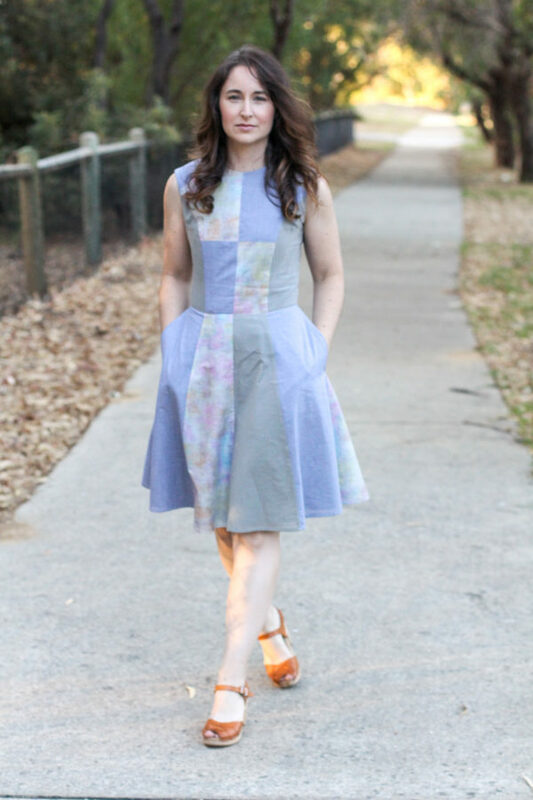 My original goal for this dress was to make it entirely from my stash of Liberty scraps. I hoard them as if each scrap has some intrinsic monetary value, and I will somehow waste them by throwing them out, and I imagined that since each pattern was gorgeous on it’s own that they of course would be amazing together. That sadly was not the case. 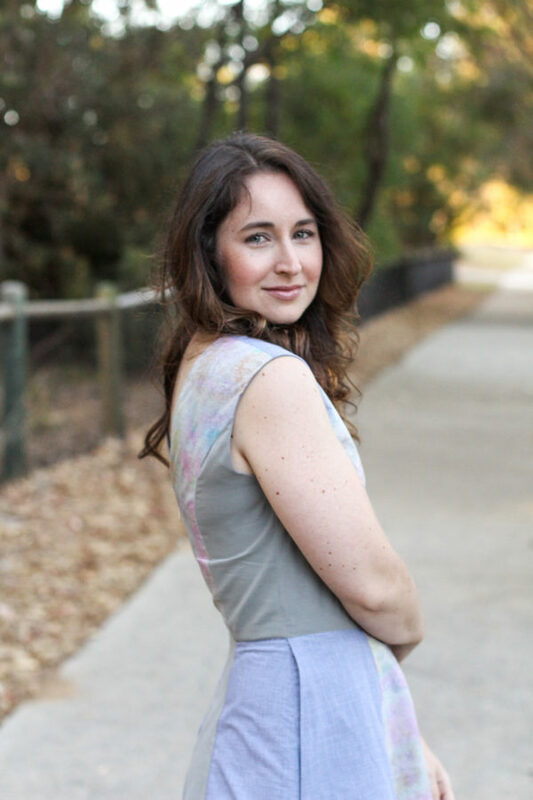 They really clashed, and i was worried i would take all my beautiful pieces of fabric and make a crazy dress that screamed handmade in a bad way. You know? SO. What I decided to do was focus on one Liberty print (the one i had the most leftover pieces of) and then pick out some colours from it for the other panels of the dress. My initial instinct was to use pinks and purples, but it was looking too sweet and juvenile, so i decided to focus on the blue and grey in the print. I really like how this tamed the colour story. I really love how this dress turned out, despite the long timeline on completion. But i think at the end of the day when you are trying to mix prints effectively, it really pays to take time and plan it out well. If i had finished it in a day like a wanted to, it might have ended up a pale pink and lavendar cupcake disaster i never would have worn. I know that there is some sort of maturity/patience lesson in there for me… but I think I’m still firmly in the “finish it yesterday” camp LOL. 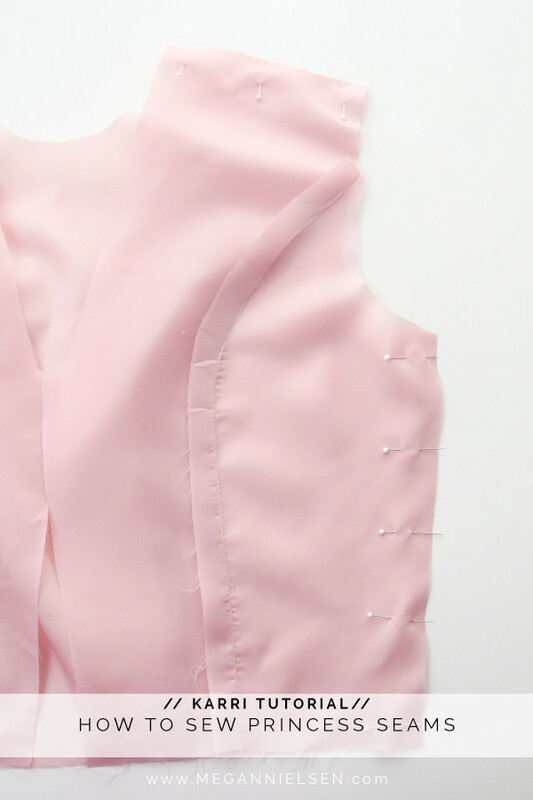 By the way incase you missed it, don’t forget to check out my tutorial for how to fully line a sleeveless dress with no handsewing. If you’re looking to make your own Karri you can find the pattern in store here. 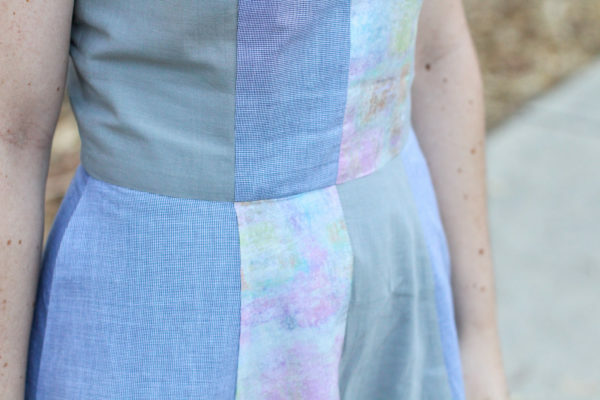 Today I’m going to show you how I fully line a sleeveless dress with absolutely zero handsewing. As much as I enjoy hand sewing, it is very time intensive, which is why i love finding ways to sew as much by machine as possible. 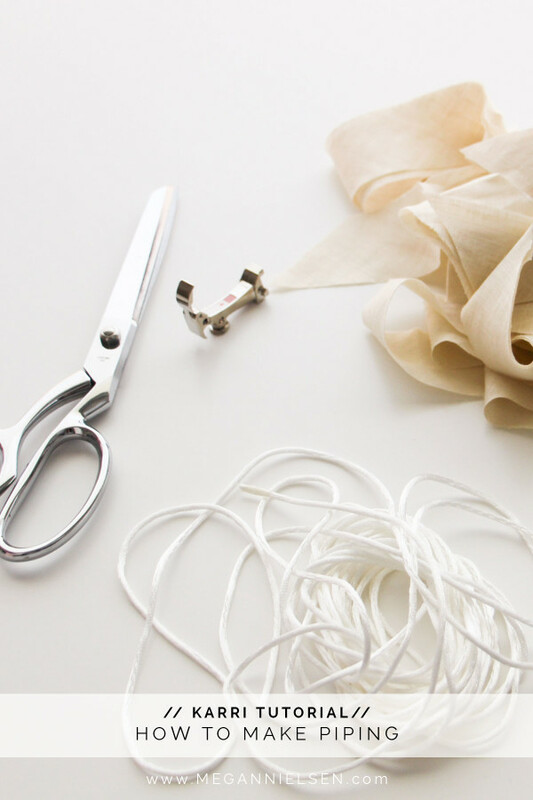 This method will result in a very long lasting and professional looking garment – once you’ve tried it I’m know it will be your go to as well! 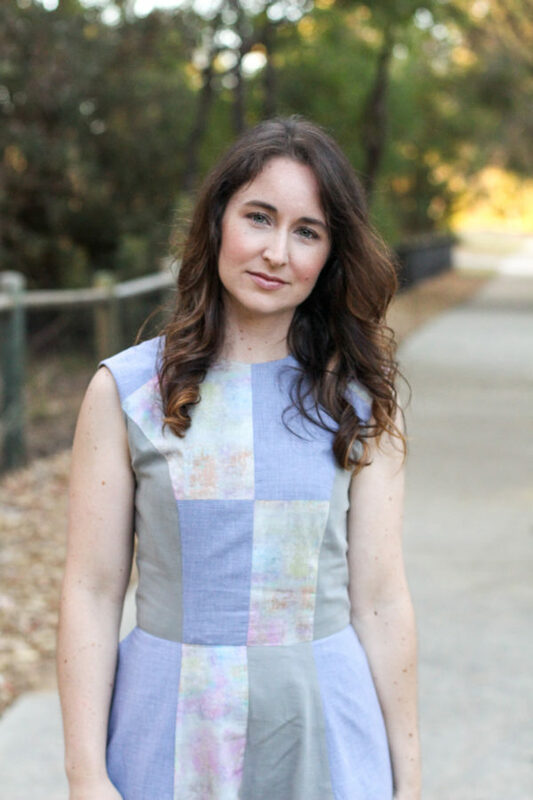 I’ve used my Karri dress and simply left off the sleeves. This is a great variation for anyone who lives in a hot climate like me! I also used cotton lawn as the lining as i find it to be a cooler option. Ok ready to learn how to fully line a sleeveless dress, zipper and all?! Lets do it! I love princess seams – out of all the ways you can make a flat piece of fabric mould to a womans curves, it’s my favourite. I feel like the fit of a princess seam is always cleaner, smoother and closer. I remember when i first sewed a pattern with princess seams I didn’t quite feel that way. I was 16, and I didn’t think i needed to follow all the preparation steps, so i jumped straight in trying to ease those seams in with nothing more than stretching and crying. Needless to say i ended up with a a very poorly fitting bodice, puckers, warped seams and centre bodice and side bodice that were different lengths at the waistline. Princess seams don’t have to be painful if you follow my straightforward steps, and ensure that you do your prep work. 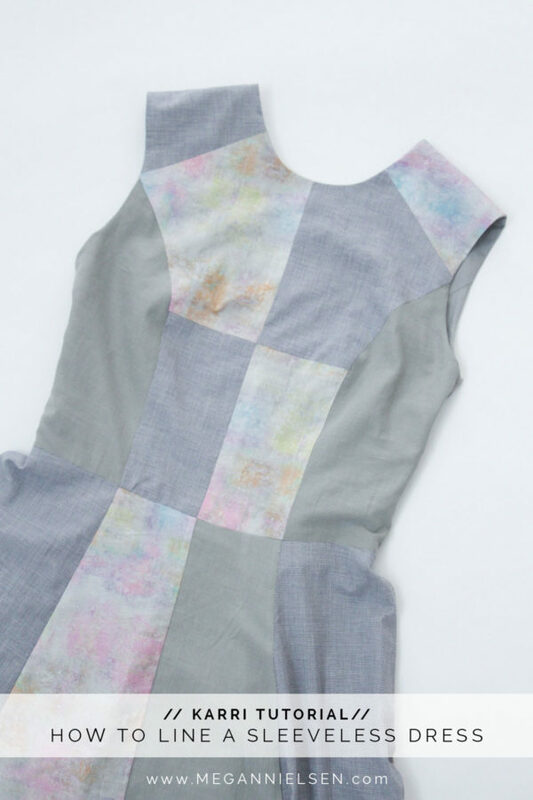 For this example i’m using the lining pattern pieces for my Karri dress sewing pattern. Due to the slight transparency of the lining i used, i think it shows the steps more clearly than an opaque fabric. Also I’ve started with the back of the bodice – the reason i’ve done this is simply because it shows the technique more clearly, but you will literally use the same method for the front bodice pieces too. 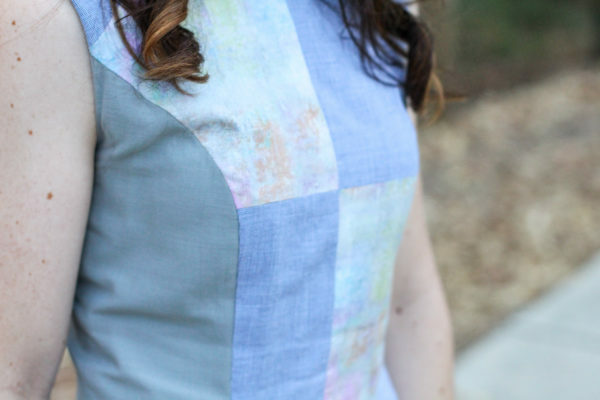 It’s Karri pattern tester roundup time! 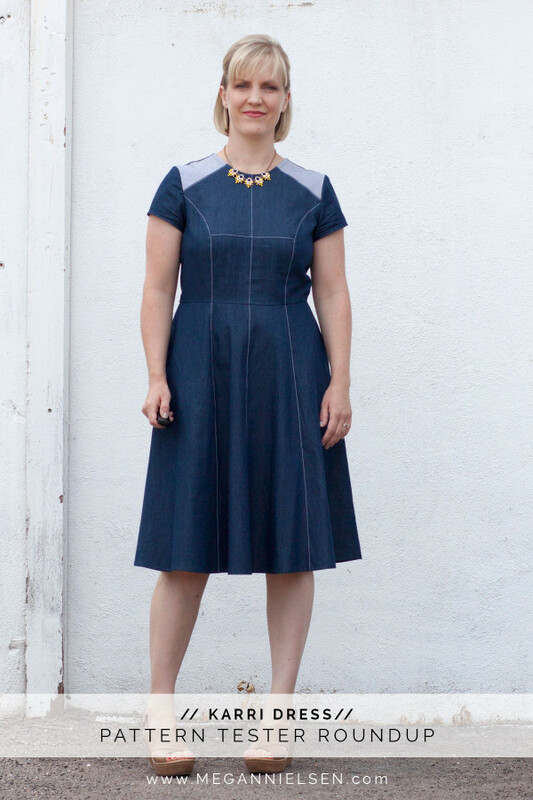 I love tester roundups – it’s so great to be able to share with you the huge variety of dresses our testers made. It’s actually seriously amazing how different these dresses all look. Just goes goes to show how much potential there is in this dress depending on you fabric choice and how you put print and pattern together! I love all of these makes, and want to say a huge thank you to all of my pattern testers for helping test Karri. We couldn’t keep doing what we do without our testers being so generous with their time and providing us with awesome feedback – please take a minute to check out some of their blogs and IG! So my dears, without further ado, check out these amazing Karri dresses, and get ready to have your mind blown!